ibis budget Campbelltown offers 72 refurbished rooms, on-site carparking and all-you-can-eat breakfast served daily. Located conveniently near to the Hume Highway, ibis budget Campbelltown is well located near food outlets, shopping and the University ofWestern Sydney. A smart choice for both leisure and business travellers. Guests travelling to Campbelltown can find the ideal base at ibis budget Campbelltown. This Sydney hotel offers easy access to the Queen Street shopping strip, Campbelltown Mall, Campbelltown Arts Centre and Campbelltown Stadium, home of the Wests Tigers. Offering affordable accommodation in the heart of Campbelltown, ibis budget Campbelltown provides guests with a range of convenient services, including free onsite parking, paid WIFI access throughout public areas of the hotel, and 24 hour hotel access. 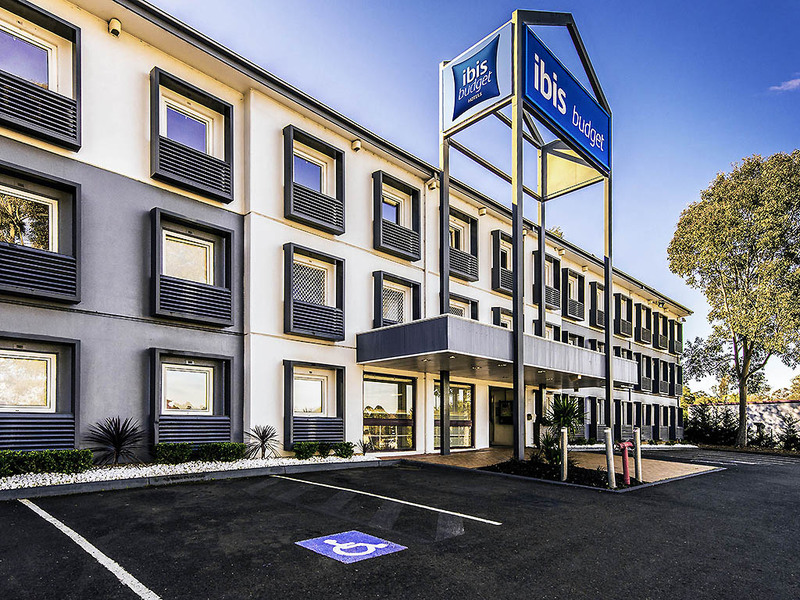 Contemporary in design, each the of 72 guest rooms at ibis budget Campbelltown is comfortable and functional, offering a relaxed setting for a restful night's sleep. Perfectly suited for guests travelling on business or leisure, each guest room at this mo dern Sydney hotel features a range of accommodation features, including air conditioning, a well-appointed ensuite, opening windows, a TV, an alarm clock, and comfortable bedding in a choice of configurations, including Queen, and Queen with Single bunk.